It doesn't take long for a small flame to grow into a large fire. Call SERVPRO for your fire damage restoration needs. Even small-sized fires can create disastrous results that continue to affect your house and family long after the incident. In addition to the rebuilding and restoration services we offer to the Wilmington community, we also have a few tips that could help your family feel better quickly. Various agencies in Wilmington help families whose homes have sustained fire damage, and SERVPRO puts you in contact with these helpful sources faster. We know that many of these places provide replacements for immediate needs like toiletries and other essentials while we work tirelessly to restore the personal belongings in your home. You need both present needs and treasured items to recover from a disaster involving fire damage quickly and thoroughly. When relatives know about an emergency, help from familiar, extended family members becomes possible while relieving anyone who heard about the fire through the news, neighbors, or from stopping by to visit, putting their minds at ease about your family's safety. Simple tasks like giving rides to after-school activities can take an enormous burden off your shoulders and keep your children's routines as normal as possible. The technicians at SERVPRO help keep you and your family updated on your property's restoration progress. Another call you should always make after any fire damage to your property happens is to your insurance adjuster's office. Explaining the situation can give them an idea of what else you should do to protect your property. They might ask for you to forward a copy of the fire department's report to their office to speed up the processing of your claim. Calling as soon as possible can mean the difference between finding shelter on your own or having someone help find suitable lodging, as well as provide you the funds for this as well as incidentals and meals. Because we work with so many of the insurance agencies in our area, we can help explain more complicated matters directly to the adjuster that might need clarification to help you settle claims in a more timely matter. Doing so can significantly diminish any stress your family might otherwise experience. SERVPRO of New Hanover at (910) 762-8180 begins the assessment of the damage and the restoration work necessary. We can help you make things “Like it never even happened.” so your family can get back to how they remember them. Read more about Wilmington here. When water damage and a mold infestation combine, the result can be wet and produce an odor. Contact SERVPRO for effective remediation services. 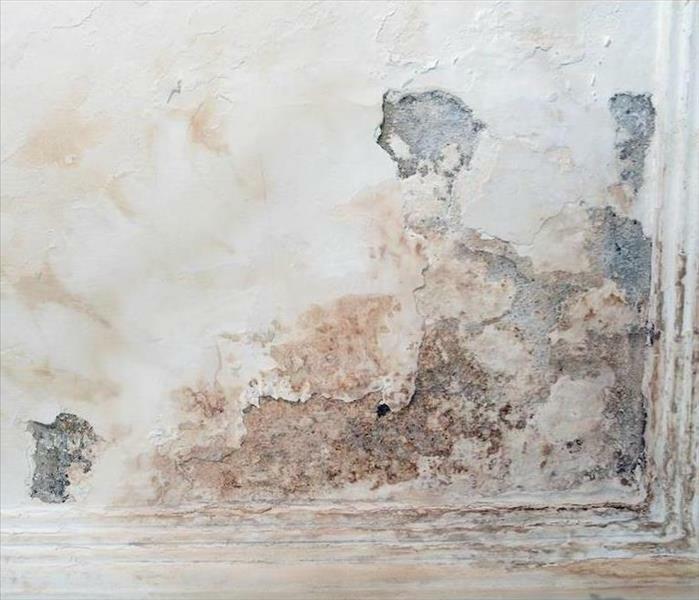 Has Water Damage in Wilmington Left Mold in my Home? Imagine that your beautiful Hanover home suddenly starts to smell. At first, it is only a whiff, but as the days go by it seems like the bathroom smells more and more of mildew. You visit your local home improvement store and attempt to mask the smell with deodorizers, but it continues to linger with no apparent cause. When you finally call a handyman to take a look, you discover that your bathtub has been leaking into your crawl space for quite a long time and you now need to seek professional help to address the situation. When there is water damage to your home in Wilmington SERVPRO is here to help. Our crew is trained to handle your water removal needs not only when there are natural disasters, but also when regular wear and tear brings challenges into your home. Thankfully, we are available 24/7 to answer your call and start the restoration process as soon as possible to mitigate further damage. Our SERVPRO team arrives ready to assess the situation and quantify just how much humidity is affecting the structure of your home. Our moisture meters and hygrometers help us monitor the situation as we place water extractors, dehumidifiers, and air handlers in your home to speed up the drying process. Once we restore the air quality and balance in your home, we tackle any remaining issues associated with the leak. An important aspect of water damage and removal is monitoring the presence of mold in your home. Even though bacteria naturally exists all around us, it thrives wherever there is excess moisture. By using advanced technology, our SERVPRO team can detect the presence of mold and take action to remove it and preempt any future growth. Failure to curtail mold proliferation can cause significant complications to your home and health in the future. SERVPRO of New Hanover is your ally whether a storm comes to our region, or your plumbing fails. 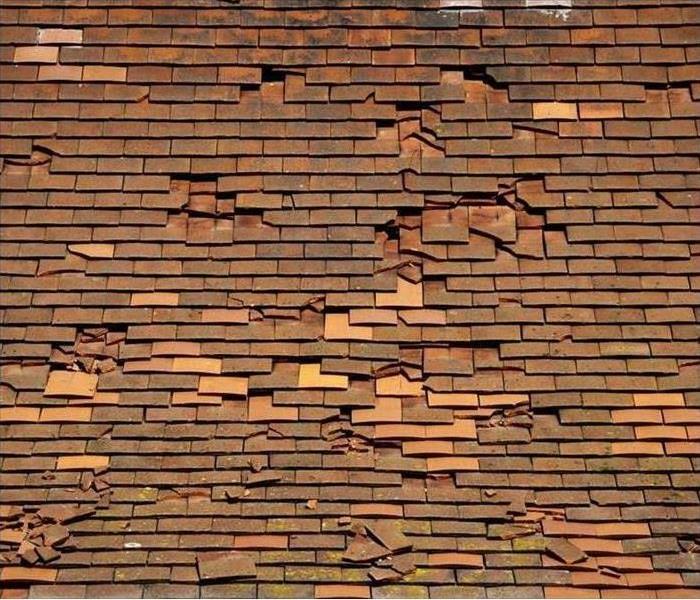 By calling (910) 762-8180 you have access to our expert team of technicians, and we happily work with you until your home looks "Like it never even happened." Click here for information about the city of Wilmington. 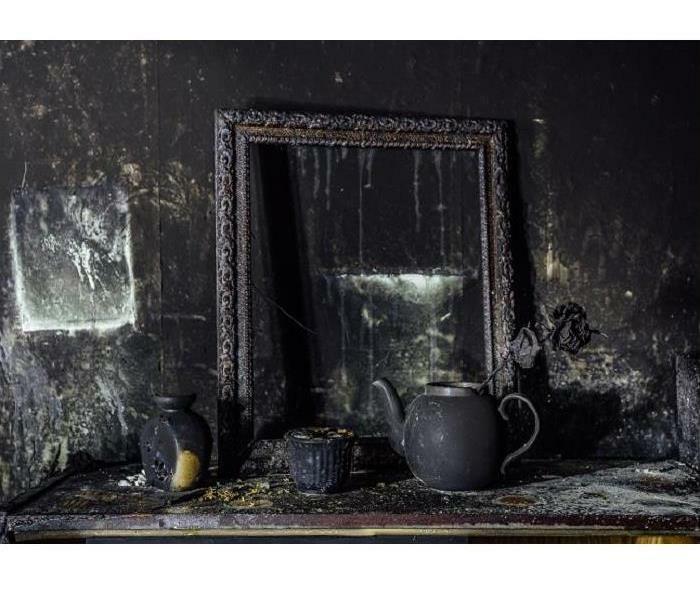 After fire damage resulting from an electrical fire in your home, contact SERVPRO to remediate the damage as well as assess the wiring situation. Many Wilmington homeowners have aging properties that got constructed decades ago. Without the steep regulations and required inspections that are a staple of modern construction, many of the building trades went unchecked and unquestioned with their installation of critical systems like electrical wiring. Additionally, the quality and insulation of the wiring itself have improved with time, but older materials remain susceptible to failures such as overheating and shorts that can combust. 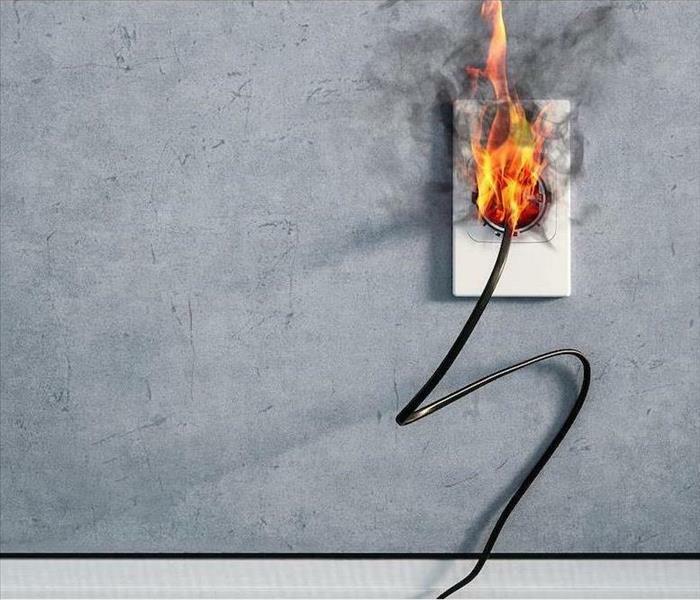 Faulty wiring is the cause of many fire emergencies throughout the area, and when disaster strikes, you need professionals that can respond quickly. Once the first responders and firefighters have left your home, you have to assess the full scope of the Wilmington fire damage to know where to begin restoring these effects. Our SERVPRO team can respond 24/7 to give a thorough and honest assessment of the property to determine what restorative practices are necessary, the equipment needed to complete the job, and how many of our IICRC-certified technicians the job requires. With early stages like debris removal and demolition, our contractors can get a look at the source of the damage and determine where a short might have occurred. While our professionals can rebuild and reconstruct damaged areas of the property, we also have the experience and skill to handle complex building tradecrafts, such as installing new wiring, conduit, and receptacles. While you might not know about the age or degradation of your electrical wiring throughout your home, you can always trust in our rapid response recovery team to help. Our SERVPRO of New Hanover contractors and certified restoration specialists can help you through every phase of recovering your property after a fire. Give us a call anytime at (910) 762-8180. Click here for more information about Wilmington. Inspecting your roof regularly can protect your home from flood damage. Severe storms, heavy rains, and flooding in Wilmington can cause costly water damage to your home and the loss of your valuable possessions. There are steps you can take to protect your home from flood damage. It is helpful to know some things you can do to take extra care of your home, especially if you live in a flood prone area. The first step to protect your Wilmington home from torrential rains and flood damage is to inspect your roof. A roof which is leaky can cause much more damage to your home than water stains on the ceiling. Roof leaks keep insulation in the attic wet, leading to mold and rot. As flood damage remediation specialists, our SERVPRO technicians can help you clean and repair damages from flooding, whether it is a leaky roof or another problem. You should also have an inventory of your personal belongings, backed up with video, photos, or both. Something such as this kept in a watertight container, or secure location is invaluable during the aftermath of storm and flood damage. Scanning documents is also a good way to keep copies of all necessary records. Doing so helps you get the right insurance claim should you need it. Keep your downspouts and gutters clean and repair any leaks in your gutters right away. Regularly inspect them to ensure they are draining properly. You also want to make sure the ground on your property slopes away from your home to help keep your basement dry. Having a sump pump installed can also remove ground water that seeps inside. Rising water can cause sewage to back up into your home through the drain pipe in an area which is flood prone. It damages your home and can be a health hazard. To prevent this, a backflow valve can be installed. HVAC equipment should also be installed above a level which the water could reach in a flood prone area. If it cannot be elevated, think about putting it on a masonry or concrete block wall. When a flood disaster happens in your area, and your home is affected, our SERVPRO staff is ready to take care of you. Our industrial tools such as truck-mounted pumps, fans and dehumidifiers can get your home dried back out. We can assess all the damages when we first arrive and determine what is salvageable. SERVPRO of New Hanover works fast once you alert us there is a flood emergency at your home. Residents of Wrightsville Beach, Wilmington, and Castle Hayne just need to reach out to us at (910) 762-8180. For more information about the city of Wilmington, visit https://www.wilmingtonnc.gov/. There are many types and colors of mold. Whether you see or smell it, contact SERVPRO to commence remediation efforts. People often confuse mold and mildew while both are used to describe fungal growth, mildew presents as a light colored powder, with molds containing more colors and a fuzzy texture. Regardless, these are all visible groups of fungi that form and spread over various types of organic matter, including many building materials found in your home. Discovering mold damage on your Wrightsville Beach area property is rather common. Most homeowners face this problem and only react after finding rather significant amounts in their home. The majority of mold species that exist are not all that harmful to healthy adult humans. We become exposed to various amounts of mold throughout daily life, at home, work, or school, both indoors and out. Health concerns usually only develop in the old or very young, others who have an existing respiratory condition or allergies may also have a reaction to mold. Some molds are used to produce a variety of food and medicine, which help protect us from some conditions. However, extensive, prolonged exposure can produce rather harmful effects, making it necessary to seek professional assistance to control how much mold interacts with us within our living environment. You may not notice mold in your home right away; it can be a very subtle or even hidden growth that begins in your problem. By the time you can see or smell mold in your home, the spread is often more than anyone can handle on your own, making professional remediation services essential. SERVPRO provides you with expertly trained mold remediation specialists who understand how mold acts, responds, and develops. SERVPRO understands that controlling mold is as easy as controlling moisture levels in your home. We use a variety of equipment to remove moisture including air movers, dehumidifiers, and advanced moisture detection to get even the smallest areas under control. We can even make recommendations that help prevent future growth. Spring is almost here, but freezing temperature swigs still occur. Visually inspect the plumbing in your basement for signs of leaking. The basement in your Wilmington home might be a place for storage, or a laundry area, or even a finished living space. What this area also holds is access to much of the primary plumbing branches that divert from the main service line where it enters your home beneath your main floor. As convenient as this access might be for maintenance and upkeep of the lines, it can also leave these plumbing elements exposed to the rogue severe temperature drop that can occur randomly throughout the North Carolina winter season, falling far below the freezing threshold. It is no great surprise that frozen or freezing pipes can lead to an immediate need for water removal in your Wilmington home. While sometimes these freezing temperatures can dam the water inside of the lines, forcing pressure to swell in the pipes until it breaks apart at a connection, other times it can warp or distort the pipe itself, allowing the plumbing to be more susceptible to steady leaks and sprays. Our SERVPRO professionals have the experience and equipment to extract water from your damaged basement quickly, but also to fix the concerns with the plumbing to prevent the damage immediately reoccurring. From the time that our professionals first arrive at your damaged home, we have to assess the severity of the pooling water and identify the problematic plumbing. 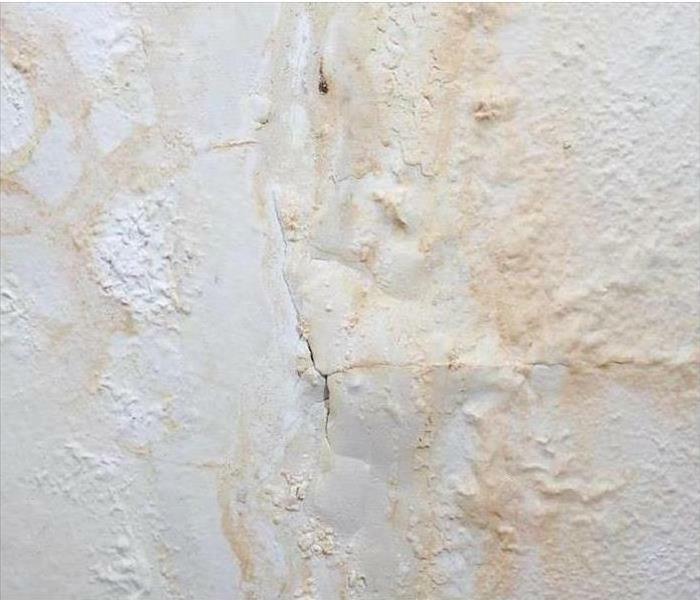 We can use both moisture detection devices and thermal imagery to get a layout of the spread of the damage and where the most saturation has occurred to get immediate access through the drywall of where the leak has gotten found. Our SERVPRO team arrives with a wide array of fast extraction equipment that can remove excess water from the exposed area. From our portable sump pumps and wet-vacs with extraction wands to our gas-powered trash pumps and extractor trucks, we have the equipment to handle any sized situation with efficiency. Water loss incidents can happen with little warning. Whenever they occur, reach out to our experienced and courteous professionals at SERVPRO of New Hanover. You can reach us anytime by calling (910) 762-8180. Flooding, Cleanup, and Restoration by SERVPRO Make Wilmington Property Owners Delighted! The minute there is an intrusion into your home by water, the clock starts ticking on the flood damage to your home. There are three designations for water: clean, gray and black. Flood water automatically falls into the gray or black water category due to the contaminants and debris picked up along the way. Wilmington flood damage can be better mitigated the faster the water extraction begins. The Gray or Black Water has the potential to cause illness and is generally not safe for direct contact by the homeowner. SERVPRO technicians don PPE personal protective equipment and with their training and equipment reduce flood loss. When you contact us, our certified technicians advise you what to do before we arrive and if you should remain in the home. We arrive onsite within four hours and conduct a thorough analysis of the water condition and affected areas so the best mitigation efforts can be implemented. Water extraction is the primary goal for beginning restoration efforts against flood water. SERVPRO technicians have many resources such as submersible pumps and truck-mounted extraction pumps that can pull thousands of gallons of water from the home so the drying process can begin as fast as possible. The next step involves both disinfecting and deodorizing. SERVPRO attempts to clean and restore affected possessions and removes items that cannot be saved through restoration efforts and get approval from the homeowner before removing items. An odor may remain in the home after drying, and we have multiple methods of effectively deodorizing your home. In some cases, more than one method may need to be applied to eradicate odors. From mechanical means like air scrubbers to foggers and deodorizing gels and pellets, we can provide solutions to enhance the indoor air quality. Visit the River District by clicking. Our team is ready and waiting for you call 24/7. We have the equipment to handle any job big or small so call us today. Rental agencies are an important part of the tourism industry here in Wrightsville Beach. With every location just minutes away from the beach, getting there is sometimes just as fun. It’s why bicycle rentals are so popular and why the owners have to keep the doors open and every bike available to rent. For a Wrightsville Beach bike shop, commercial flood damage centers around getting the inventory dry and clean for customers. SERVPRO teams can often respond within an hour or two and begin setting up the equipment we need to eliminate the effects of a flood. Where possible, we start by lifting every bike out of the water while setting up a pump to remove the water. After hanging them up or at least putting the bikes on blocks or pallets, specialists spray every surface with an anti-bacterial agent. Since outside flooding contains soil and other contaminants, this is a necessary part of ameliorating the effects and making sure everything is safe for customers. SERVPRO team members clean and dry each bike next. To prevent rust, they install a combination of fans to increase air circulation and dehumidifiers to draw moisture off the surfaces and out of the surrounding air. If needed in larger areas, they can also install air movers to force warm, dry air across the bicycles to speed up drying. We use these same devices to help dry the structure as well. In concrete or sheet metal buildings, flood water does not affect most of them, but it is still necessary to reduce the humidity to provide a more comfortable environment for customers and employees. No matter if you operate on Harbor Island or Middle Sound, SERVPRO of New Hanover is here to help reopen doors and serve customers. If you are still dealing with the effects of the last flood, contact us at (910) 762-8180 today to finish getting your shop back on its feet. For more information on surfing and kiteboarding in Wrightsville Beach click here. SERVPRO has the right equipment to remove soot after a fire saving your belongings from further damage. The saying goes “where there's smoke, there's fire,” and many times, the smoke is just as destructive as the flames. At SERVPRO, we mitigate damage to both your Wilmington home and the contents inside. We know that your family's belongings are what makes your house 'home' and without them, things are just not the same. Our goal is to make things “Like it never even happened” for you. 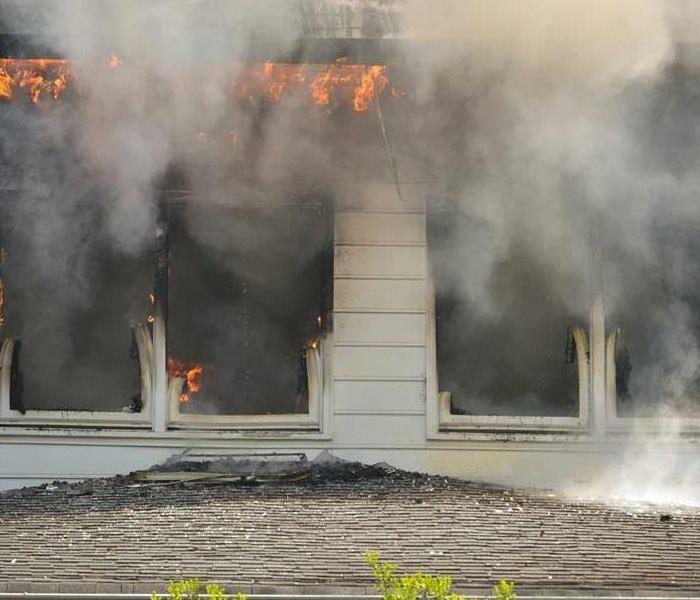 When a family's home in Wilmington sustains fire damage, SERVPRO technicians working on the house's structure to remove damaged areas also take the items inside into consideration. We box things up, room to room, in clean boxes and label each with its inventory sheet's number. We take the majority of these items to our facility to clean and restore them. We can set aside any items that your family needs immediately so we can work on those first, making sure that you receive them as soon as possible. Soot can spread its griminess with the slightest touch. We have the equipment to remove residue, even in the deepest grooves and minute details of your belongings. We use ultrasonic cleaning techniques that act in a way similar to hydrogen peroxide, with its bubbling action, to remove foreign substances after fire damage. While we can clean hard surfaces in your home with special cloths that trap soot particles, textured items require more attention. A short time in the ultrasonic cleaning equipment works well at removing soot that manual cleaning might take hours to accomplish. We can restore and clean items that can be immersed in water and also dry quickly. Your Grandmother's china and knick-knacks from your parents' vacations can once again find their place in your home and look just as lovely as before. Many customers find that years of dust that accumulated on their belongings no longer dulls them. Our equipment is this effective. Therefore, if antiques should not receive this treatment to maintain their patina, please inform us, so we know to use other restoration methods. While these might take longer, the final effects are our goal and your satisfaction with our work. Once cleaned, some items might require deodorization. We use special chambers to do this with hydroxyl generators that remove the odors still embedded in these things. We only use ozone on completely dry items, and both methods are equally effective. SERVPRO of New Hanover wants to help families in Kure Beach and Castle Hayne in the restoration of their homes and their belongings. We know that small things can bring immeasurable joy to your family members, and fire damage makes this quite apparent. Call us at (910) 762-8180, so we can mitigate everything and get things back to normal. Take a stroll down the Riverwalk click here for more information. When Should You Consider Demolishing a Flood Damaged Business Structure in Wilmington? Flooding has become a more common occurrence in Wilmington. Decades ago, flooding around Wilmington was similar to lightning strikes – one-time events that never happened in the same place twice. 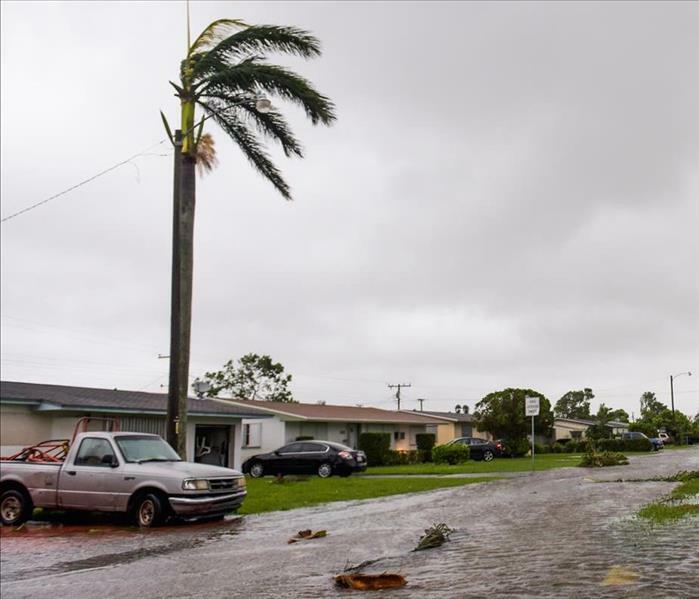 In more recent years, though, flooding seems to repeat itself in different communities, coming back to traumatize residents who expected repeat flooding less than they ever did the first time around. Because of this new propensity for repeat flooding in different areas, including Wilmington, many experts recommend demolition of commercial buildings once they succumb to a flood. The options of either relocation to higher ground or rebuilding with flood-resistant capabilities ensure the continuation of a business. SERVPRO can help get your business, warehouse, factory, or retail setting ready for demolition and help you through the rebuilding process. We serve all businesses, regardless of type or size, throughout the area. Because we are local, we understand the community's needs, the experiences we all have in common, and can help make things cohesive again. The sooner you can rebuild, the sooner you can provide your products or services to the community again. Before demolition, we must ensure that all the paperwork is ready and that your salvageable inventory and equipment no longer occupies the area. Your inventory sheets should reflect each item. You must remove salvageable items like metal staircases or recyclable materials before we begin. If needed, we can assist you in their retrieval. Once demolition starts, entering the premises becomes extremely dangerous. Tearing down the business you and your family own can be a very trying time, but we can assure you that rebuilding means a bright future. While elevating your business might seem a better option, the drawbacks to this are quite extensive. You need to relocate electrical, plumbing, and gas lines, as well as any communications systems' cabling. Entryways need new staircases, as well as reinforced doors. Windows often require resizing to accommodate reinforced walls built below them. Stability becomes a concern, also, as the footprint must remain the same and must not become larger than the original footage, even when additional space is available. Demolition with subsequent rebuilding from scratch solves these issues. While we can also demolish partial areas of a structure, or only interior area, after a significant flood, many changes weaken the current building. We want to help you do better than making it “Like it never even happened” - we want to help you make it so it cannot ever happen again. SERVPRO of New Hanover can help make flooding a non-issue for you and your Leland or Elizabethtown area business. Demolition might seem extreme, but the work involved in coming back after a flood is also extreme. Call us at (910) 762-8180 so we can get things stable and secure for you. Click here for information about the Wilmington Riverwalk. 3/6/2019 - Flooding, Cleanup, and Restoration by SERVPRO Make Wilmington Property Owners Delighted! 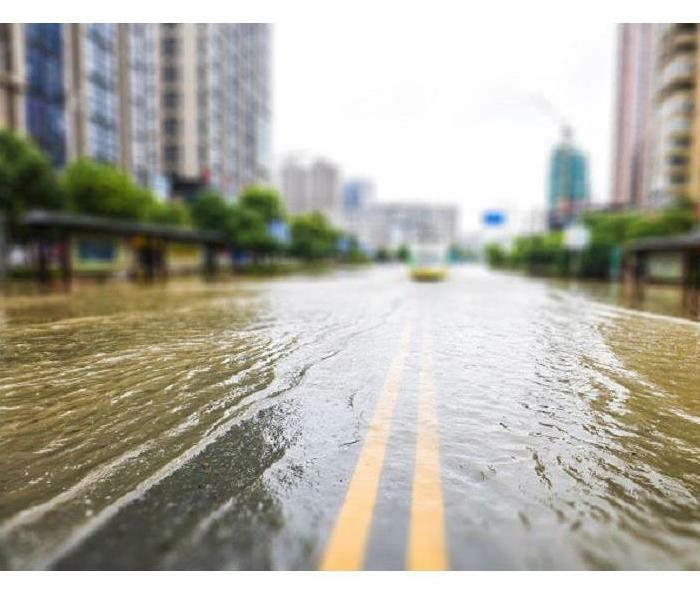 2/4/2019 - When Should You Consider Demolishing a Flood Damaged Business Structure in Wilmington?